DragonCon is next week! Here’s what I’m up to there. This’ll be the third straight year I’ve done DragonCon, which is quite a lot of fun and you should go if you can. It’s an exuberantly geeky crowd, focused on the joy of whatever brings them joy. Gotta love it. 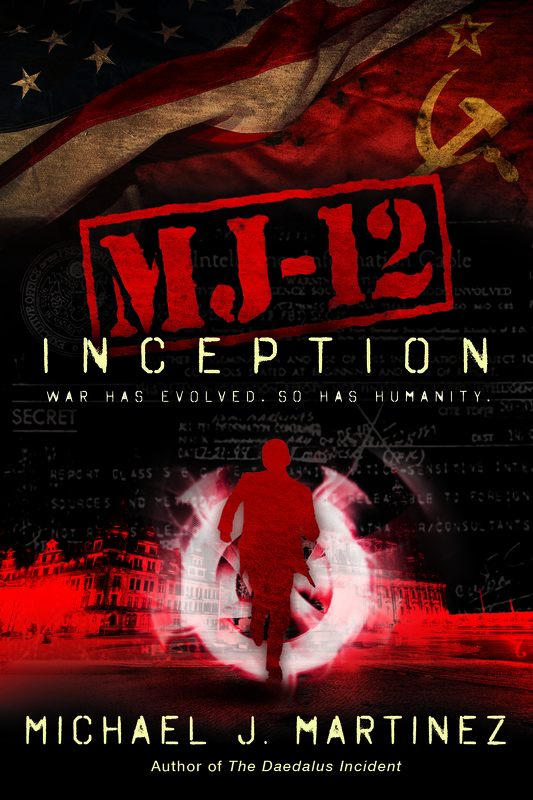 DragonCon will be one of the very first places you can pick up a copy of MJ-12: Inception, by the way. I’ll have a handful of copies on hand for giveaways, in case you don’t win the Goodreads giveaway, but the best thing you can do is head to the vendor hall. The booksellers there should have some on hand, but given that this is the weekend before launch, I expect supplies to be limited. Get there early. And without further ado, here’s my schedule of stuff. Unlike the past several years, the Alternate History Track will be at the AmericasMart convention center, so don’t go looking for me at the Westin, unless it’s at the bar. 1 p.m. — World at War: Alternate History in the Early 20th Century, AmericasMart Building 2, 4th floor, Room 204 J. Really looking forward to this one, as we’re firmly outside steampunk and into all sorts of other cool stories. 1 p.m. — Signing at the Missing Volume, AmericasMart Building 2, 1st floor exhibitor hall. 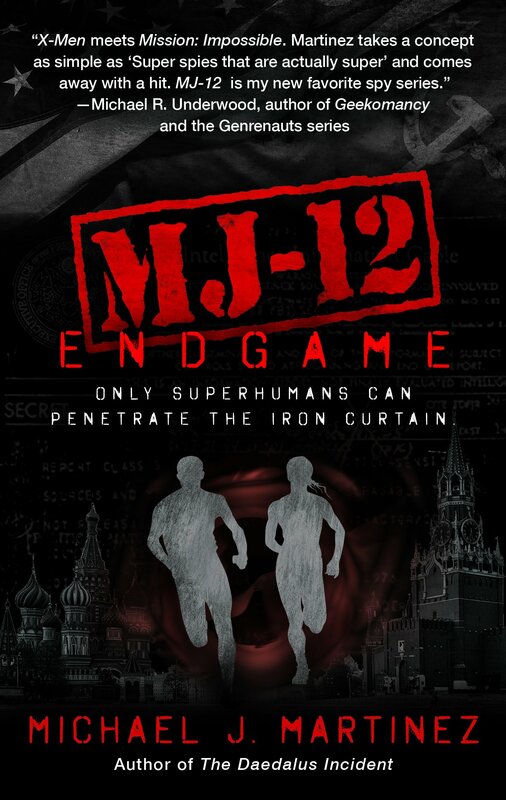 The only place you can buy MJ-12: Inception before Sept. 6 is at DragonCon, and you can get your books signed too. Supplies, as they say, are limited, so get there early. 4 p.m. — MJ-12: Inception reading, Hyatt Regency Atlanta, Edgewood room (one floor below the Artist/Comics Alley). Why, yes, I’m doing a reading! And if you’re hoping to cadge a giveaway, this is absolutely your best opportunity to do so. Just saying. 7 p.m. — History or Alternate History, AmericasMart Building 2, 4th floor, Room 204 I. It’s a game show! Figure out whether a statement is historical fact or fiction! And you’ll win stuff! Plus, we have Cherie Priest. Eric Flint, Gail Z. Martin, S.M. Stirling and Thomas Willeford on board. Pure awesome. 5:30 p.m. — In the Shadows: Espionage in Alternate History, Americas Mart Building 2, 4th floor, Room 204 I. Now we’re talking! In fact, I may have suggested this very panel to Doctor Q, the Alt-History track director, earlier this year. It’s obviously relevant to my interests, and hopefully to yours as well. 8:30 p.m. — Steampunk/Alternate History Is Here to Stay, Hyatt Regency Atlanta, Embassy room C/D (take the International Tower escalators down). Well, I didn’t think it was going anywhere, frankly, but we’ll be talking about how to make it even better. It’s quite possible I’ll also be visiting some of the social events on the Alternate History Track calendar, and you can follow my Twitter feed to see what I’m up to (and keep track of giveaway opportunities). You may also find me hanging out with various fellow authors and assorted hoopy froods as well. That said, in looking at this schedule, I see I have some downtime Saturday and Sunday mornings. How about that? And that being the case, I’ll likely sleep in and then get a bunch of writing done before hitting the con. 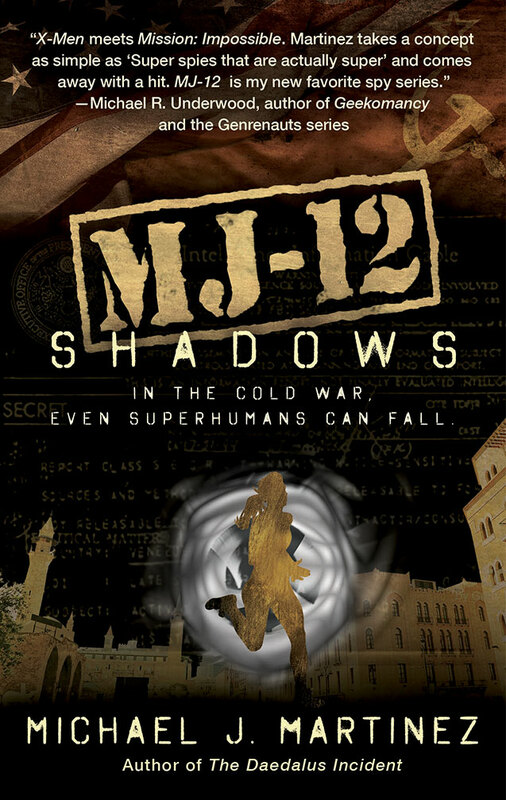 Because MJ-12: Shadows ain’t gonna write itself. Yeah, that’s the tentative title of book 2 in the MAJESTIC-12 series. I don’t love the title, so it may change. Unless my editor loves it, in which case I’ll totally love it. But I digress. If you’re going to be at DragonCon, I hope you’ll come say hello. See you there! And finally, as a reminder, I’ll be going to San Francisco on Tuesday, Sept. 6, and heading over to Borderlands Books in the Mission District at 6 p.m. for a reading and general shenanigans. So if you’re not in Atlanta, maybe you’re in San Francisco. Both are lovely places to be.